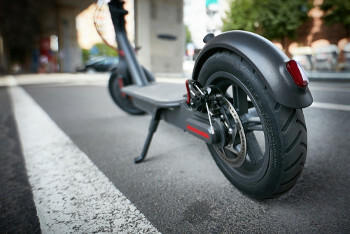 Could electric scooters be the future of urban mobility? RAC head of roads policy Nicholas Lyes warned that 'much needs to be thought through before electric scooters can be allowed to use UK roads legally'. He said: 'We know drivers who regularly have to deal with congestion in urban areas are often open to alternative forms of transport, so any move to review regulations to make this simpler and encourage take-up should be welcomed. New modes of transport and new mobility services must be safe and secure by design. The benefits of innovation in mobility must be available to all parts of the UK and all segments of society. Walking, cycling and active travel must remain the best options for short urban journeys. Mobility innovation must help to reduce congestion through more efficient use of limited road space, for example through sharing rides, increasing occupancy or consolidating freight. 7 The marketplace for mobility must be open to stimulate innovation and give the best deal to consumers. New mobility services must be designed to operate as part of an integrated transport system combining public, private and multiple modes for transport users. It has also published its response to the Last Mile call for evidence, outlining a range of measures to support cleaner and more sustainable last mile deliveries. These include increasing the uptake of e-cargo bikes and e-vans. The DfT has also announced the first winners of the Transforming Cities Fund with £60m awarded to 10 city regions for schemes supporting low-carbon vehicles, cycling and walking projects, and smart traffic controls. 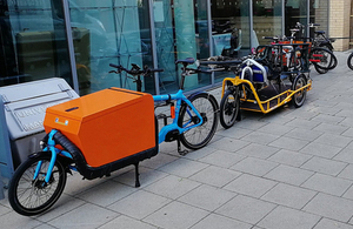 The DfT has also now worked out how £2m to support the uptake of e-cargo bikes, announced in the Autumn, will be distributed and is inviting expressions of interest.